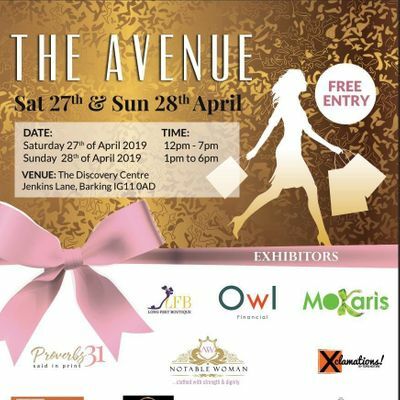 The Avenue is your One Stop Luxury Shopping Experience where exclusive brands come together and showcase their products all under one roof on Saturday 27th and Sunday 28th of April. Diet Kick-starts for that body of your dreams. Finally don’t leave your Financial wellbeing to chance. You can Speak to someone about creating a personalised protection plan. 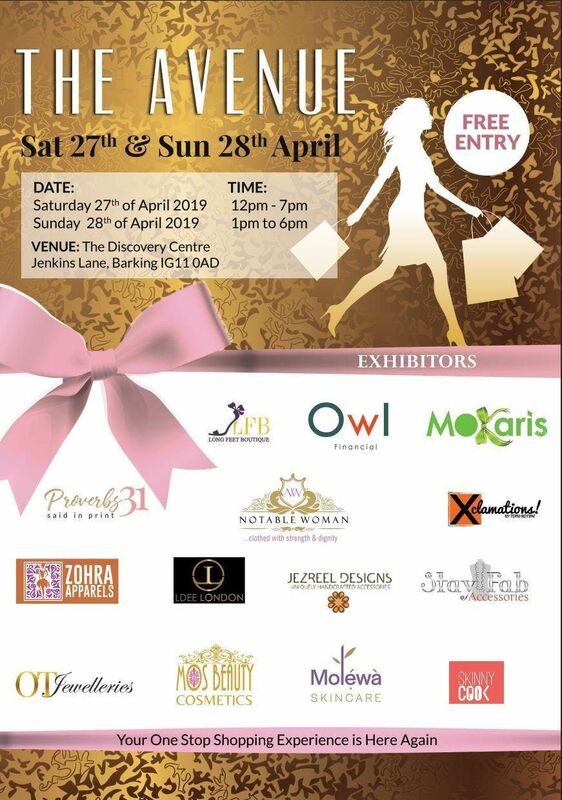 All items being showcased at this event can’t be bought on the high street we therefore implore you not to come alone bring your girlfriends. Long Feet Boutique offer Stylish, Fashionable, comfortable high quality leather shoes for ladies in UK sizes 8-12 (European 42-46) All shoes are sourced from Italy, Spain & France. They shall be launching our new Summer collection at this event. Xclamations .For 15 years Xlclamations has designed and manufactured beautiful pieces for the conservative yet stylish woman, Their brand is reputable for pristine finishing and effortlessly creative designs that are simple yet statement. Notable Woman - For all things Ankara.Fashion. Style. Elegance. Ldee London is a luxury bag connoisseur. Their bags are made with 100% Italian leather. They are committed to quality, innovative designs and 100% customer satisfaction. P31. Said in Print specialises in scripture clothing for women - Proverbs 31. They want you to be proud to wear the Word and tell the world. Stay Fab Accessories offer unique, exquisite & affordable jewelleries, fabrics & accessories. Their collection of Sterling silver 925, fashion statement pieces, pearls, fabrics and accessories are perfect for all occasions. Jezreel Designs is a handmade leather goods label focusing on creating timeless pieces that celebrate traditional leather working skills as well as individual style. MoKaris Gifting Services – Bespoke and personalised luxury gifting service for life's special occasions. Giving mutual satisfaction to both the giver and receiver of our gifts. Zohra Apparels is a clothing brand that specialises in classy, trendy, and sophisticated women's clothing for all sizes from UK 6 to 24. MOS Beauty Cosmetics brand provides the most high-end, high-performance, practical and long lasting makeup for our customer to wear and love. Molewa Skincare creates quality natural and handmade skincare products, for women and men. OT Jewelleries is a London based business that specialises in selling beautiful stylish jewellery for all occasions. Bringing luxury and style at affordable prices.... perfect for women of class. Skinny Cook was birthed to share our Executive Chef & Healthy Living Advocate, Bola’s love for healthy, delicious and nutritious foods all wrapped up with a desire to see everyone discover a more fabulous version of themselves like she did through healthy living. Owl Financial. Don’t leave your financial well being to chance. There is an opportunity to speak to someone about creating a personalised protection plan. You can also talk to them about mortgages and remortgages. Refreshments will be available to buy on both days.